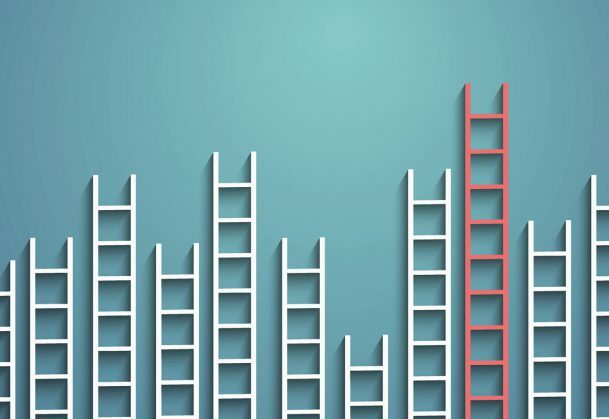 Genetic differences account for nearly 50 percent of the variation in social mobility in families, according to new findings published in Psychological Science, a journal of the Association for Psychological Science. One of the best predictors of children’s educational attainment is their parents’ level of education – historically, this association was thought to be largely environmental, rather than influenced by genes. Parents with higher levels of educational achievement, for example, are thought to access greater academic and social resources, enabling them to pass on better opportunities for their children than less educated parents. This new study is novel in that it provides evidence for substantial genetic influence on children’s social mobility, which could have important implications for reducing educational inequality. The researchers also used an alternative method to study genetic influences on social mobility, specifically looking at DNA markers that are associated with educational achievement, so-called genome-wide polygenic scores. They found that children with higher polygenic scores were more likely to have completed A Levels, even if they had come from families in which no parent had gone to university. The highest polygenic scores were found for children who were from ‘stably educated’ families, the lowest scores for those who were from ‘stably uneducated’ families, and results fell in the middle for children who were categorized as being from downwardly and upwardly mobile families. “The role of parent’s education in their children’s educational outcomes has previously been thought of as environmental, but our study suggests a strong genetic component too. These results show that half of the differences between whether families were socially mobile or not, can be attributed to genetic differences between them,” explains study first author Ziada Ayorech from the Institute of Psychiatry, Psychology & Neuroscience at King’s College London. “This tells us that if we want to reduce educational inequalities, it’s important to understand children’s genetic propensity for educational achievement. That way, we can better identify those who require more support,” she says. “Finding genetic influences on social mobility can be viewed as an index of equality, rather than inequality. The reason is that genetics can only play a significant role for children’s educational attainment if their environmental opportunities are relatively equal,” added senior author Sophie von Stumm, a Senior Lecturer at Goldsmiths University of London. In addition to Ayorech and von Stumm, study co-authors include Eva Krapohl and Robert Plomin, also of the Institute of Psychiatry, Psychology & Neuroscience at King’s College London. The Twins Early Development Study is supported by a program grant to R. Plomin from the UK Medical Research Council (Grant MR/M021475/1 and previously Grant G0901245), and receives additional support from the U.S. National Institutes of Health (Grant AG046938) and the European Commission (Grants 602768, 295366). R. Plomin is also supported by Medical Research Council Research Professorship Award G19/2 and by European Research Council Advanced Investigator Award 295366. S. von Stumm is supported by a Jacobs Foundation Research Fellowship Award (2017–2019). The actual genetic difference in this report is intellectual ability under another name. The role of IQ in social mobility has been known for many decades. IQ is related to virtually every good outcome in life (and to the absence of bad outcomes). Helping those with lesser endowment is good but why not help those with greater endowments too? But the ultimate solution is genetic engineering: help make everyone smarter.